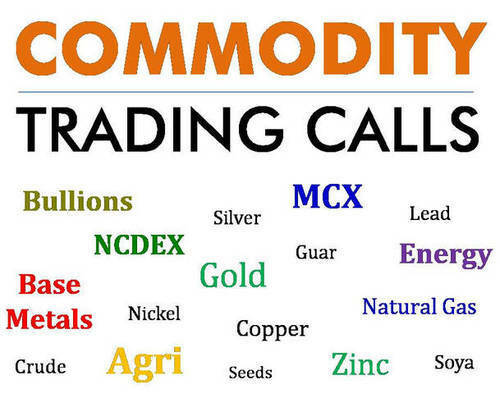 Broadly speaking, commodity trading is an activity which involves investing/trading in commodities. It is similar to stock trading but instead of buying and selling shares of companies, a trader buys and sells commodities. Commodities traded are often goods of value, consistent in quality and produced in large volumes by different suppliers such as wheat, coffee and sugar. Trading is affected by supply and demand, thus, limited supply causes a price increase while excess supply causes a price decrease. Therefore, the process of commodity trading is directly or indirectly affected by the demand and supply in the market. Commodity trading is an investing strategy wherein goods are traded instead of stocks. 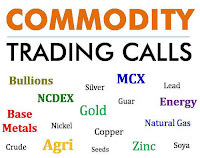 Commodities can be traded on a spot level or on the futures exchanges as futures contracts. A futures contract is an agreement between two parties to buy or sell an asset at a certain time in the future at a certain price. A commodity future contract is a future contract which has a commodity as underlying asset. A commodities exchange is an exchange where various commodities and derivatives products are traded. If you take a look at a typical trading platform, you will see commodities listed as tradable contracts. Commodity trading is not limited to a particular exchange. Investors are free to trade on various exchanges if they desire to do so. An example of a commodity exchange where commodities are traded is the New York Mercantile Exchange (NYMEX), which is the world’s largest futures commodity exchange. There are 24 commodity exchanges in India. There are three national level commodity exchanges to trade in all permitted commodities. They are: Multi Commodity Exchange of India Ltd, National Commodity and Derivative Exchange, and National Multi Commodity Exchange of India. Trading commodities online has gained popularity for many investors in recent years. Online commodity trading platform offers easy and convenient trading experience to investors. Trading commodities online also allows instant trading without having to contact a live broker to place your orders. Almost everything you could possibly need to trade commodities is available through an online commodity trading account including commodity trading charts, commodity news, and technical analysis programs. Online commodity trading gives you a sense of independence as a trader is in control of the trade and has to make end trading decisions. The execution of a trade is much quicker and not like the old times where you had to wait to call the broker and then give him the instructions about the trade, online trading is much convenient and results too can be seen instantly. Convenient trading: Online commodity trading platform offers easy and convenient trading experience to investors. It provides high-end integrated trading applications for fast, efficient and reliable execution of trades. You virtually have everything you need when you log in to your trading account. Investors get access to a multitude of resources like live quotes, charts, futures news, research and even online assistances. As a new trader, you will have access to all the research and trading facilities that are needed to help you execute your trades. You can decide what to buy or sell, when to buy or sell etc. 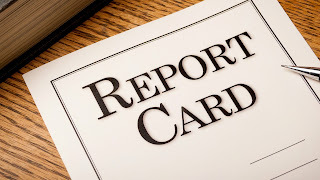 either based on your own research or by referring to the research reports of your online commodity broker. Flexibility: Online trading is nearly instantaneous, providing you the freedom to trade at your leisure from anywhere, anytime. This flexibility means you have the freedom of watching the market and making quick trades if needed. You don’t have to wait on anyone other than yourself. Lower commissions: You can expect much quicker execution of your trades through an online broker as well as lower commissions. It is a lot cheaper to buy/sell one futures contract than to buy/sell the underlying instrument. Liquidity: Another major benefit of online commodity trading is liquidity. Liquidity is characterized by a high level of trading activity. Assets that can be easily bought or sold are known as liquid assets. The involvement of speculators also means that futures contracts are reasonably liquid. Leverage: Commodity trading also offers the benefit of leverage. Leverage means use of borrowed capital or margin to increase the potential return of investment. Only a small percentage of the total value of a position is needed to be paid upfront to get full benefit and to enhance profits. Diversification: Commodity returns have historically had low or negative correlations with the returns of other major asset classes, and may be used to diversify a portfolio. Commodities may react differently from stocks and bonds in various economic and geo-political situations, enhancing risk-adjusted returns and reducing the overall volatility of a portfolio. While there are many benefits to trading commodities online, commodity investing online also has its disadvantages that investors should be forewarned. There are some hidden dangers that many novice traders overlook before they open an account to trade commodities online. You need a mentor: With this lack of guidance, it is only natural to expect that many traders will be prone to repeating the same mistakes which eventually cost them their “risk capital.” Trading in commodities requires a trader to have firm knowledge of the factors that affect the demand and supply of a particular commodity. Usually in case of online trading, you don’t have someone to guide you with your trades. If you are new to commodity trading, then you may burn your fingers. Having an experienced broker with whom you can discuss trading strategies is likely to keep you out of trouble. Thus seeking an advice of a mentor is crucial if we want to improve our trading proficiency. Leverage: Commodity futures operate on margin, meaning that to take a position only a small percentage of the total value needs to be available in cash in trading account. High leverage means high risk attached to the account. It acts as a double edge sword where benefit of low margin can result in poor money management. Over trading: The third disadvantage of online trading relates to the issue of over trading. Online commodity trading can be risky if you are not disciplined. There is a tendency for a trader to deviate from his original trading strategy and switch to day trading after he gets bored of holding a market position for a considerable period of time. When this happens, it is similar to gambling in a casino. In other words, without discipline, online commodity trading can burn a hole in your pocket. On the other hand, those who are well disciplined and have a sound trading plan, trading commodities normally through an online broker is the best way to go. Limit order: It is an order where the user specifies the price at (or better than) which the trade should be executed. Market order: It is an order which should be executed at whatever be the prevailing price on or after submission of such order. If there is no market at that point of time, it takes the last traded price and remains in the system. Day order: It is an order which is available for execution during the current trading session until executed or cancelled. All day orders will get cancelled at the end of the day during which such orders were submitted. Stop loss order: It is an order placed which is kept by the system in suspended mode and will be visible to the market only when the market price of the relevant commodity reaches or crossed a threshold price, which is called as trigger price as defined by the member. It is used as a tool to limit the loss.